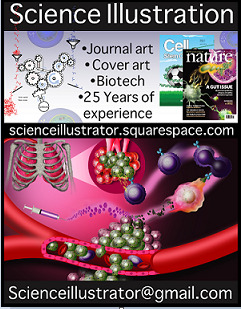 Writing in the journal Cell Stem Cell, researchers report that a first-in-human phase I clinical trial in which neural stem cells were transplanted into participants with chronic spinal cord injuries produced measurable improvement in three of four subjects, with no serious adverse effects. "The primary purpose of this first trial was to assess safety. And no procedure-related complications were observed in any of the patients," said principal investigator. "Our results suggest the approach can be performed safely and early signs of efficacy warrant further exploration and dose escalation studies." The trial used a human spinal cord-derived neural stem cell line developed by Neuralstem, Inc, a biopharmaceutical company. Four trial participants with one- to two-year-old permanent injuries to T2-T12 thoracic vertebrae (located in the middle of the spine) received six injections, each containing 1.2 million neural stem cells. In previous research, published in 2013, stem cells were transplanted into rats with spinal cord injuries, resulting in neuronal regeneration and improvement in the animals' functioning and mobility. "This is a small sample size, but the real strengths of this study are the extensive follow-up period, electrophysiological assessments and the timeline of treatment. Everyone was treated after a year of injury, meaning there was essentially no chance of spontaneous recovery," said the author. "Our primary objective was to provide proof of safety and tolerability of treatment. We've done that. These early signs of potential efficacy, combined with the promising results of earlier animal studies, argue for pressing ahead with new trials and greater doses to see if we can further accelerate repair and recovery."